The NAHB International Builders’ Show (IBS) is one of the building industry’s biggest events, giving thousands of industry professionals’ access to the tools, people and sessions that teach them how to build their business to last! 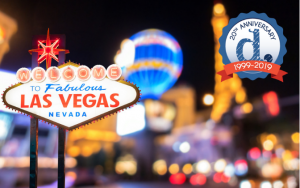 Denim Marketing team members have attended IBS for more than 10 years, and every year, they come back with tons of helpful information, inspiration and new connections! Each year, IBS brings builders from all over the United States, as well as dozens of other countries, to attend the largest product expo showcase with over 1,500 manufacturers and suppliers, plus hours of educational sessions covering an expansive list of industry topics. While there are lots of booths to browse and sessions to catch, there are also plenty of evening functions, meetings and parties to attend. Denim Marketing Founder and President Carol Morgan, Senior Account Manager Courtney Rogers and Account Manager Mandy Holm will present various educational sessions throughout the three-day event, but they will also be networking at meetings and events held throughout the week. It’s the one time of year to celebrate the association’s grassroots and learn about the many membership benefits offered through NAHB! The Meeting of the Members offers a first-hand perspective on how NAHB develops its priorities and creates action plans. Chief Economist Rob Dietz will update members on the outlook for the industry and Randi Zuckerberg, founder and CEO of Zuckerberg Media, will be the keynote speaker. As Membership Chair, Carol Morgan will present the membership report to the NAHB Executive Board on Saturday, lead the Membership Committee meeting on Monday, and present the membership report to the full NAHB Board on Thursday. Additionally, at the board meeting on Thursday, she will serve as the roving reporter. She will also be interviewing members on successful membership drives, recapping the 360 Membership campaign, discussing successful retention strategies, highlighting top Spikes and more. As the Associates Advocacy Vice Chair, Carol will be working to raise money and awareness for Build PAC by selling tape measures. Look for her and make sure you get your tape measure at the show! After all, don’t you want to measure up? 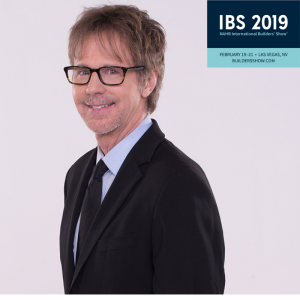 Emmy Award-winning actor and comedian Dana Carvey will headline the IBS 2019 opening ceremonies with lots of laughs and energy to officially start a fun-filled week. Other forms of entertainment will also take place, and NAHB Board members will address attendees with information about the upcoming week. The Opening Ceremonies is the perfect mood-boosting opportunity to network with other industry professionals while getting excited about all that the Builders’ Show offers. On Thursday, the Goo Goo Dolls will headline the Closing Spike Concert, during which NAHB honors its top member recruiters. The Spike concert is a core event that allows attendees one last phenomenal experience at IBS. As active members of PWB in Atlanta and nationally, we are thrilled to dance the night way at the ultra-luxurious =OMNIA nightclub at Caesars Palace as we honor PWB members who have been instrumental in council recruitment and retention. Our team members have been a part of PWB for years in various ways. Courtney Rogers is a past PWB Atlanta board member and Carol Morgan is a past national chair. This event is a fun party in which everyone can network with wonderful PWB members from across the country. Aside from the core events, our team will also be attending meetings and events for networking and education. Monday, we will attend the Greater Atlanta HBA dinner and party where we can network with our local organization and members, and Carol will also attend the Gold Key and Platinum party where NAHB honors the nation’s top Build PAC donors. Tuesday night, we will meet with members from the entire state of Georgia at the HBA Georgia party, followed by the NAREE (National Association of Real Estate Editors) event to network with other professionals that write with a focus on real estate, just like we do at Denim Marketing. Mandy Holm is a member of NAREE and is excited to network with other industry professionals at the High Roller observation wheel. You can also catch Young Professional Atlanta Chair Courtney Rogers and YP member Mandy Holm at the Young Pro party on Wednesday night at Hyde nightclub at Bellagio. It’s going to be an exciting, fun and busy week at IBS and we cannot wait to see you there! Let us know where you’ll be and if you would like to make an appointment with Carol Morgan, Courtney Rogers or Mandy Holm at the show. For more information on Denim Marketing, Contact Us or call 770-383-3360.